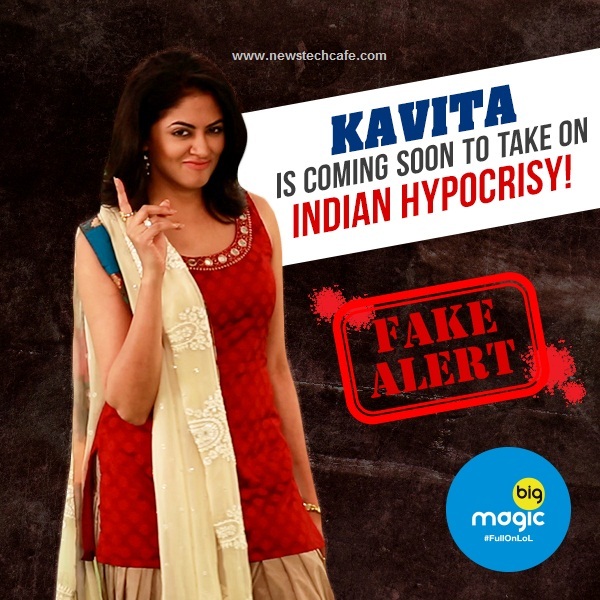 FIR fame 'Kavita Kaushik', who was last seen in ‘Jhalak Dikhhla Jaa’, will now turn host on Big Magic channel with a new show ‘Fakebook with Kavita’. The show is loosely based on the American show ‘Inside Amy Schumer’. Each episode is divided into segments of varying length – sketches, stand-up bits, street interviews and longer interviews with an unusual personality, often regarding sexuality and gender roles. Kavita said: "I wish we could go as bold as the American show, but if I do that, people will kill me."